Vancouver, May 26, 2015. – CQDM, Brain Canada and the Ontario Brain Institute (OBI) award close to $8.5M to six (6) multi-disciplinary and multi-provincial research teams across Canada to address unmet needs in neuroscience within their Focus on Brain strategic initiative. To this amount, $1.5M is added from the various research entities involved as in-kind contributions. This exciting announcement was made today at the annual meeting of the Canadian Association for Neuroscience in the presence of Inez Jabalpurwala, President and CEO of Brain Canada; Mario Chevrette, Vice President, Scientific Affairs of CQDM; and Donald Stuss, President and Scientific Director of OBI. The six (6) awarded research teams will be led by Rob Hutchison from biOasis Technologies Inc. in Vancouver, Janusz Pawliszyn from the University of Waterloo, Elizabeth Simpson from the University of British Columbia, Jean-Paul Soucy from McGill University, Don van Meyel from the Research Institute-McGill University Health Centre and Nathan Yoganathan from KalGene Pharmaceuticals Inc. in Toronto. The projects will unite 33 researchers from a dozen organizations in academia and SMEs across Canada to develop cutting-edge tools, technologies and platforms designed to accelerate the discovery of new, safe and effective drugs for brain and nervous system disorders to benefit patients and their families. 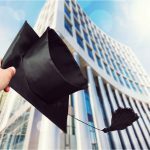 Thanks to CQDM’s unique mentoring program, these researchers will also have the opportunity to collaborate with senior scientists from the pharmaceutical industry who bring industrial expertise and support to the projects, to help better align research with the needs of industry and patients. “This is the first time that CQDM funds as many research projects at once, thanks to the partnerships we have established with Brain Canada and OBI. We joined forces to mobilize the best researchers in Canada. These projects reflect the pan-Canadian collaboration and talent, and capitalize on synergies in the public and private sectors, as well as interprovincial resources. We are proud to support true innovative translational research in Canada that will certainly make a difference in neuroscience,” said Mario Chevrette, Vice President, Scientific Affairs of CQDM. 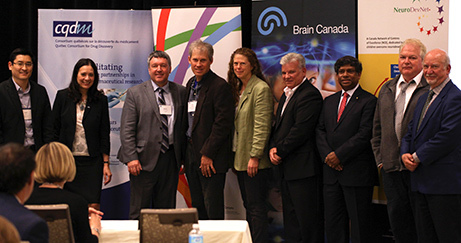 “Brain Canada is proud to partner with CQDM and OBI on this major brain research program which is leveraging our respective expertise and networks, along with funding from the Government of Canada. 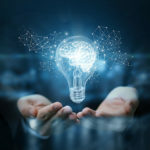 Joining our efforts to align academic research and industry priorities, and foster linkages between them, will accelerate the process of developing therapies to treat a range of disorders of the brain which directly impact one in three Canadians,” said Inez Jabalpurwala, President and CEO of Brain Canada Foundation. “OBI views commercialization of research as a vital step towards better patient care and a healthier economy and we are proud to participate in the Focus on Brain initiative by providing support to three Ontario-based projects which aim to drive drug discovery forward. 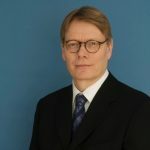 We anticipate the results of these projects and are honoured to partner with our colleagues at CQDM and Brain Canada to put neuroscience research and brain health on the map at a national level,” said Donald Stuss, President and Scientific Director of the Ontario Brain Institute. “The six projects chosen have a Québec component and 40% of the research activities will take place in the province. Completion of these projects will also foster local job creation and inter-provincial links, which will lead to innovations that produce benefits in Québec and internationally. This confirms our strong expertise in neurosciences, a sector that we proudly support,” declared Jacques Daoust, Québec Minister of the Economy, Innovation and Exports. Mr. Hutchison and his team are interested in how drugs can cross the blood-brain barrier to treat brain diseases. The answer lies in the molecular transporters that naturally circulate across the bloodstream and the brain. More precisely, this multidisciplinary team will develop miniaturized human antibodies (10 times smaller than regular antibodies) that will serve as carriers allowing therapeutic agents to cross the blood-brain barrier, akin to a Trojan horse. The team will screen thousands of antibodies to identify those that can effectively cross the barrier and which can also be linked to many different therapeutic molecules. Once merged, the crossing antibody and the selected therapeutic agent form the fusion molecule whose transit will be observed in the brain with new non-invasive imaging methods by positron emission tomography (PET). If this technique proves effective, it will help develop improved drugs for devastating brain disorders. This project responds to the need to create a platform that improves the quality of in vivo analysis during the drug discovery process for the central nervous system. The platform is based on a low-invasive, non-lethal solid phase microextraction technology, which combines multiple steps of sampling and sample preparation for direct in vivo sampling in the brain. The approach involves the use of coated biocompatible microwires with a diameter of 0.1 mm to perform a chemical biopsy of the brain of a living subject without need for tissue removal. This process provides excellent spatial resolution, given its localized action and small dimensions of the probes, and enables longitudinal studies on the same subject. 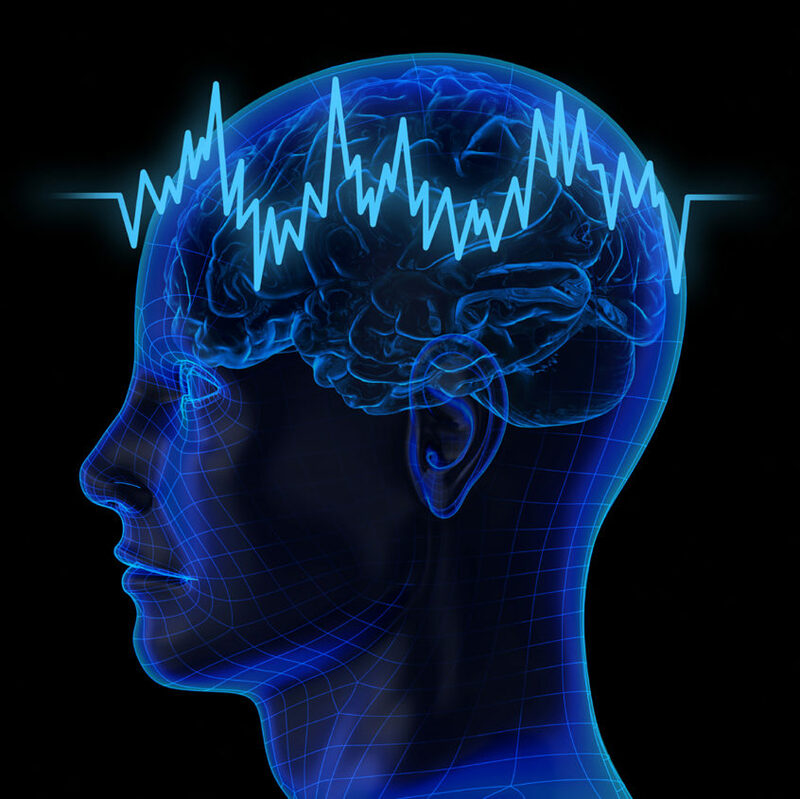 The extraction of a wide range of targeted, or non-targeted, compounds is then coupled with mass spectrometry analysis to provide a sensitive preclinical profiling analysis of the drug biodistribution in the brain, the metabolic pathways affected by the drug as well as in depth cerebral chemical imaging. The revolutionary technology of Professor Pawliszyn’s team will provide a new and complementary platform to microdialysis and in vivo observation of the long-term effects of drugs on the brain of a single living being. This will help improve and accelerate the development of new drugs in addition to eliminating the statistical variability between subjects to improve and reduce the cost of long-term drug efficacy and personalized response to drug therapy studies. Professor Simpson’s team hopes to develop and test new promoters – strands of DNA adjacent to genes that are essential for their expression – which enable protein production. These promoters are essential tools for the pharmaceutical industry, which uses genes as therapeutic agents in an approach called gene therapy. Gene therapy seeks to insert a functional gene and its promoter into a patient’s cells in order to produce the protein that can cure or prevent a disease. Professor Simpson’s lab specializes in ocular gene therapy for eye disorders such as blindness, a disease that causes great human suffering and socioeconomic impacts. Dr. Simpson’s innovative approach stands out with respect to the number of promoters tested. The team hopes to develop 30 new promoters, designed to deliver specific genes to the eye. The size of these promoters will be minimized in order to facilitate their use in different therapies for eye cells. The administered genes are then translated into useful therapeutic proteins for various eye diseases and related treatments. To date, Alzheimer’s disease remains incurable and can only be diagnosed once symptoms begin to manifest themselves via the presence of β-amyloid plaques (Aß) and tau strands in the brain. The difficulty in developing new drugs for this disease is largely due to the difficult and late diagnosis of the disease. The ability to diagnose Alzheimer’s disease at an early stage would afford a better understanding of its genesis in addition to radically transforming the design of clinical trials in order to develop new treatments. The eye provides a window to the brain through the retina, which may also have Aß plaques in individuals suffering from Alzheimer’s disease. It is suggested that Alzheimer’s disease is detectable by a simple non-invasive analysis of the eye. Jean-Paul Soucy and his team believe that is so and will develop a retinal imaging platform using fluorescence combined with advanced imaging instruments to detect Aß plaques in the retina of patients. This imaging platform will enable the detection and early diagnosis of the disease in at-risk patients which will facilitate the development of drugs to treat Alzheimer’s disease. The purpose of this project is to use a revolutionary protein engineering technology called Cyto-iGluSnFR and adapt it in order to discover new drugs leading to the treatment of a variety of brain and eye diseases. This innovative platform relies on a modified protein which allows the detection of glutamate levels that enter cells. Glutamate is an important messenger that carries information from one neuron to another, and the means to study it are currently very limited. Studying glutamate is important because its measurement and control can allow researchers to determine its effect on some neurological diseases such as stroke, glaucoma and Alzheimer’s disease. Glutamate levels in the brain are precisely regulated by glial cells located in close proximity to neurons, through transport proteins on their surface called EAATs. The adaptation of the Cyto-iGluSnFR to these brain cells will allow the screening of millions of chemical compounds that will lead to the development of drugs that will effectively target the EAATs, allowing the modulation and restoration of glutamate flow into glial cells, required for proper brain function. The blood-brain barrier protects the brain from potentially toxic compounds from the bloodstream, but also restricts access of therapeutic agents to the brain. The drug delivery to brain targets is seriously hampered by the tight walls of the cerebral blood vessels. One of the approaches being considered in order to cross the barrier uses the transport receptors in blood vessels that carry natural chemicals and nutrients necessary for proper brain function. The approach of Yoganathan’s team is to use an antibody fragment that binds to transport receptor to carry, like a Trojan horse, a therapeutic payload through the barrier. Specifically, the drug will be chemically bonded or fused to the natural or modified blood-brain barrier carrier thereby gaining access to brain targets. Nathan Yoganathan’s project is designed to demonstrate that a payload, in this case, a candidate treatment for Alzheimer’s disease, can be effectively transported across the human blood-brain barrier. CQDM is a pharma-based consortium active in pre-competitive research whose mission is to fund the development of innovative tools and technologies to accelerate drug discovery. Unique in the world, CQDM’s business model is based on a collaborative approach where all stakeholders share the costs of biopharmaceutical research and benefit from its results. CQDM also provides a common meeting ground where academia, governments, and the pharmaceutical and biotechnology industries converge to address numerous complex medical challenges. CQDM receives financial support from Merck, Pfizer Canada, AstraZeneca, Boehringer Ingelheim, GlaxoSmithKline, Eli Lilly Canada, Janssen, Novartis Pharma Canada, Sanofi Canada, as well as from Quebec’s Department of Economy, Innovation and Exports (MEIE) and from the Government of Canada under the Business-Led Networks of Centres of Excellence Program (BL-NCE). For more information, visit us at www.cqdm.org. Brain Canada is a national non-profit organization headquartered in Montreal, Quebec, that enables and supports excellent, innovative, paradigm-changing brain research in Canada. For more than one decade, Brain Canada has made the case for the brain as a single, complex system with commonalities across the range of neurological disorders, mental illnesses and addictions, brain and spinal cord injuries. Looking at the brain as one system has underscored the need for increased collaboration across disciplines and institutions, and a smarter way to invest in brain research that is focused on outcomes that will benefit patients and families. The Canada Brain Research Fund is a public-private partnership designed to encourage Canadians to increase their support of brain research, and maximize the impact and efficiency of those investments. Brain Canada has committed to raising $100 million from private and non-governmental sources, which will be matched by the government on a 1:1 basis.The Government of Canada committed up to $100 million over six years (2011-2017) to establish the Canada Brain Research Fund. This fund supports Canadian neuroscience research and advances knowledge and treatment of brain disease and mental disorders. For more information, visit us at www.braincanada.ca.